After announcing that it had begun mass production of its smartwatch and a shipment date earlier in the month, Pebble Technology — makers of the Pebble e-paper watch that broke Kickstarter records during its funding stage — has today notified some early backers that orders have begun making their way to them. 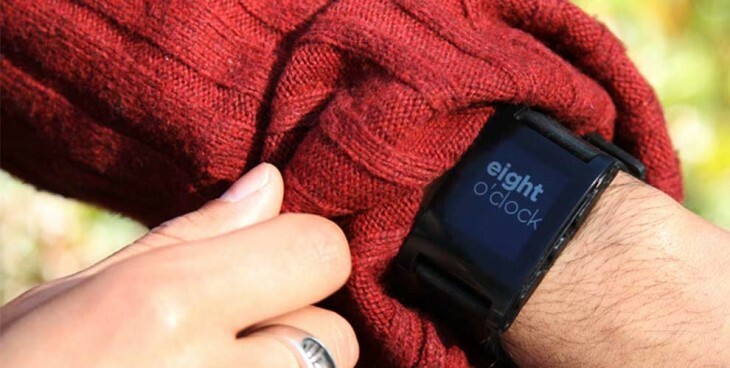 In a Kickstarter blog update, Pebble’s makers have said that the company will be “sending out the first batch to the very first backers this afternoon,” but warns backers that there are “still some kinks and issues that we need to work out.” The first batch is said to be less than 500 units, after initial shipments were delayed as a result of airport documentation. The company has previously said its production line, at its peak, is able to output 15,000 watches per week. Another of those issues could be the fact that the Pebble iOS app is yet to become available on the App Store, despite being submitted more than two weeks ago. When backers receive their orders, they will only be able to control notification and music, but they will not be able to upgrade their smartwatch or install watchfaces until Apple approves the official iOS app. However, Android development is right on track and the app is expected to go live on the Play Store tomorrow. Pebble Technology says that it will ship more units “soon,” but warns customers that they may have received an address confirmation ahead of their actual shipment. If you are one of those people, you may need to wait a couple of days until your Pebble actually ships.